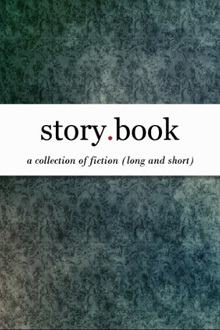 Story.Book is a collection of prize-winning fiction which represents a years worth of Unbound Press and Spilling Ink Review literary competitions. From the surreal to the sublime, this anthology includes short stories and flash fictions that have the dexterity to provoke, the audacity to inspire and the ability to plain-old entertain. Authors Include: Duncan Abel, Nicola Belte, Claire-Louise Bennett, P.W. Bridgman, Raylene Brown, Erika Byrnes, Alex Cox, Rico Craig, Joanne Fox, Wayne Lee Gay, Laura Grace, Andrew Graham, Gill Hoffs, Vivien Jones, Eleanor Miriam Kiddell, Harriet Kline, W.F. Lantry, Steven Levery, Ursula Mallows, R.A. Martens, Harry McDonald, Edward Mc Whinney, Gabrielle Meadows, John Mole, Kenny Mooney, Emily Munro, James Murray, Eivind Nerberg, Daniela I. Norris, Iain Paton, Michael Powell, Amy Ralston, Sarah Schofield, Graeme Scott, Helen Sedgwick, Chris Sharratt, J. David Simons, Kate Smith, Richard Smyth, Patrick K. Sung, Nemone Thornes, Mark Wagstaff, Gordon Wallace, Jamie Waller, Samuel Wright.